When the world faces an imminent attack by extraterrestrials from beyond the stars, Abraham Lincoln journeys to Britain to present his evidence to Queen Victoria. But he’s too late. As the invasion occurs on his arrival, Lincoln calls on his personal fighting force S.T.E.A.M. (Strike Team Eliminating the Alien Menace) to intercept – an elite team of soldiers trained to deal with such unusual threats but working in secrecy to prevent any panic. This alternative take on events surrounding the industrial revolution won’t be found in the pages of any history book, but is the latest take on the turn-based strategy genre from Intelligent Systems. It’s the year 1865, and advances in steam technology have apparently set the world on a different, and far more exciting, course than that which we know. The lines between history and literature have been blurred, resulting in the heroes of reality and those of our imaginations becoming one and the same. Once again allowed to temporarily step away from their successes with the Advance Wars, Fire Emblem and Paper Mario series, Code Name: S.T.E.A.M. has allowed the Japanese developer to reconsider their approach to a genre that they’re often seen to be unrivalled in. 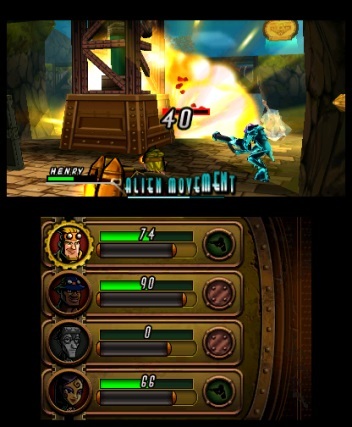 Booting up the Nintendo 3DS exclusive, your initial choices are clear between tackling the game’s Campaign and leading S.T.E.A.M.’s agents to repel the alien invasion, or jumping into Versus Mode to take on an equally devious human opponent in local or online multiplayer. 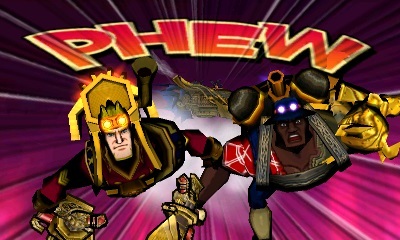 Needless to say, Campaign will be the first port of call for many – a necessity in not only introducing you to the game’s unique gameplay mechanics, but also the characters, their weapons and special abilities. The campaign itself sees you embark on several missions, themselves comprising a variable number of separate maps that each present their own objective for you to achieve – be that reaching a goal, destroying a designated target, escorting an NPC or rescuing civilians. Movement around these maps is dependent on using steam stored in the boiler that each agent carries, one puff required to move one space – with larger amounts needed to fire any weapons at marauding foes. It’s important to circle your agents around enemies so that they can target weak spots to deal additional damage. Whereas steam left in the tank when you end your turn will allow agents to enter Overwatch, automatically defending themselves against any aliens wandering within their gaze while the enemy makes their move. Disappointment from critics surrounding the game’s North American launch was largely centred on how long these enemy turns take to play out, delaying your progress and leaving players sat around waiting for lengthy periods at a time. Thankfully this has since been addressed with a software update, an optional switch on the touchscreen now letting you choose to fast forward enemy turns, even if it comes at a cost of slightly losing track of the action. Steam management is key to success which partly refills after each turn, but maps are peppered with steam canisters, health packs, medals that act as currency and three gears that will slowly reward you with better equipment. Save points can also be used to restore your team’s health and steam, whereas help monitors will similarly give your steam supply an immediate boost. If an agent’s health is completely depleted they will be defeated, and unable to return to the action until you clear the map. There’s no ‘permadeath,’ but you’ll easily feel the pinch when ill-considered movement sees your team’s numbers dwindling. Each agent has their own Special which can help turn the tide, a powerful move that differs for each of them whether that be flinging explosive eagles, letting out a ferocious roar or healing nearby companions. Between missions, you’ll return to Lincoln’s airship, The Liberty, where you will have the chance to equip your agents ahead of setting out again with new steam boilers and sub-weapons that you unlock. The Library will also let you learn more about your enemies, while Lincoln awaits in the Briefing Room to provide more background on the war that’s being waged. amiibo support for Ike, Marth, Lucina and Robin (for those that have them) is easily the best implementation we’ve seen so far. Scanning each amiibo unlocks their character in-game as an agent to join your team, armed to the teeth with their respective Fire Emblem weaponry whether that be the Falchion, Ragnell, Levin Sword or mighty bow of legend, Nidhogg. If they fall in battle you’re required to rescan them to rejoin your team, but this homage to Intelligent Systems’ illustrious history is a welcome one. 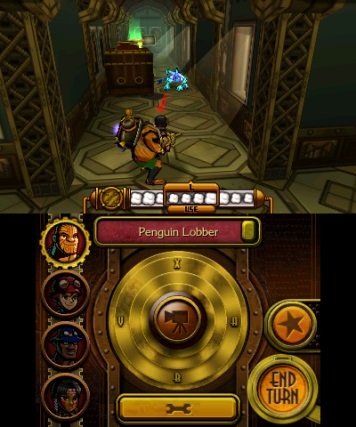 Controls are largely responsive on New Nintendo 3DS, but the absence of the C-Stick on the original model will instead see players use A, B, X and Y buttons to direct their aim which will prove an understandable frustration. There’s support for the Circle Pad Pro to address this if you’re prepared to make the additional investment. I was uncertain about Code Name: S.T.E.A.M.’s comic book-inspired visuals, but they’re particularly impressive in person and especially with stereoscopic 3D activated. The cinematic direction in cutscenes is perfectly styled, while the game’s voice cast strikes the perfect balance with Will Wheaton putting in a noteworthy performance as Abraham Lincoln. Away from this, the game’s soundtrack is audibly exciting but treads familiar sound waves throughout the entirety. Beyond completion, it will be Versus Mode where you’ll shift your attention. This delivers three game types in Death Match, Medal Battle and A.B.E. Battle. Death Match requires you to defeat your opponent’s team of four agents, Medal Battle sees you rush to collect the most medals, and A.B.E. Battle squares you off against each other in giant robots – seen at key instances during the Campaign. New booster items are introduced in multiplayer that power up your agents and each mode works well without any latency issues – despite currently only being able to play against players in North America. As with Pullblox, Code Name: S.T.E.A.M. demonstrates that Intelligent Systems can continue to produce special experiences away from the core series that they are most readily attributed to. With an extensive cast of characters, it is an experience that can either continually be approached in new ways or by sticking with a squad that you know and love. And while Code Name: S.T.E.A.M. debut may not match Fire Emblem’s now established solidarity, even in imperfection it packs enough punch to warrant a future amidst Nintendo’s stack of IP.